Steiff's Parrot Keyring is a vibrant and colorful gift - for a friend or for yourself! He is made from soft plush fur in bright red, with a yellow face and yellow & blue wings. He has dark, safety eyes. His beige felt beak and feet have just a little air-brushed details added to bring him to life. 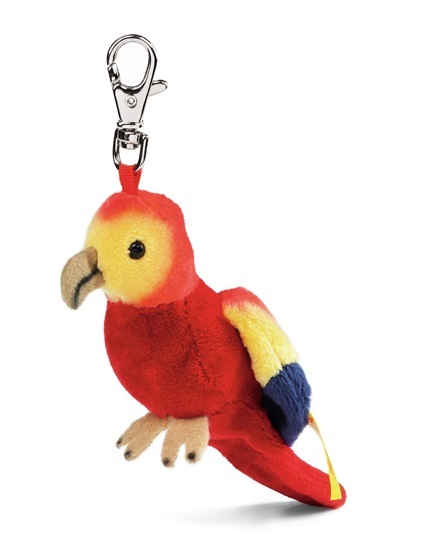 The parrot keyring has a sturdy metal clip and carries the Steiff button in ear on his wing. Machine washable at in a laundry bag or net.